#1 Auto -- misrepresentations in advertisements or sales of new and used cars, lemons, faulty repairs, leasing and towing disputes. In 2013, new and used car dealers (combined) were the most-complained-about businesses in America -- AGAIN. The BBB reported receiving over 3.9 MILLION consumer complaints about auto dealers. Auto- related complaints rank again among the Top Ten consumer complaints consumers filed with the Federal Trade Commission. 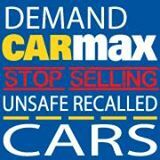 The federal agency has authority over auto dealers and their practices, and took action to curb false advertising. The agency received more than 82,700 auto-related consumer complaints during 2013.